(2) SCHWARTZ YES. “Mel Brooks’ ‘Spaceballs’ sequel is a go – ‘The Schwartz Awakens’ posters spoof ‘The Force Awakens’” at Inquisitr. (3) SCHWARTZ NO. Some doubt the Schwartz will really be with us, however — “Spaceballs 2 Hoping For 2016 Shoot” at Yahoo! News. But there are also a few solid reasons why it’s still far from certain though. Mainly that ‘Spaceballs’ only grossed $38.1 million from its $22.7 million budget back in 1987, while as both John Candy and Joan Rivers have sadly died since its release and Moranis has retired, it would be a big ask to replicate the camaraderie of the original. (4) GEOMETRIC LOGIC. John Scalzi has reasons — “How I Am Able to Forgive the Absolutely Appalling Science in the Most Recent (and Indeed Every) Star Wars Film” at Whatever. Space Exploration Technology Corp. executed an impressive return to flight Monday by flawlessly launching an upgraded variant of its Falcon 9 rocket and then maneuvering a big part back to earth for a pinpoint, precedent-setting landing. SpaceX, as the closely held Southern California company is known, achieved the dual goals in the wake of a high-profile launch explosion six months ago, which put all Falcon 9 flights on hold and prompted a broad reassessment of the booster’s design and inspection procedures. After a trouble-free countdown and liftoff of the roughly 230-foot-tall booster from Florida’s Cape Canaveral Air Force Station, SpaceX delivered 11 commercial satellites into low-earth orbit, completing Orbcomm Inc. ’s planned constellation. But the most daunting—and closely watched—portion of the mission occurred more than eight minutes after blastoff, once the spent first stage plummeted toward earth, used its thrusters to steadily slow and then touched down vertically—surrounded by a huge plume of exhaust—on a landing area in the same iconic space complex. The gentle landing, after several failed attempts to return an identical section of the booster to a barge, marked the first time any large rocket has managed a controlled recovery after delivering a payload into orbit. (6) GINGERBREAD FAN. 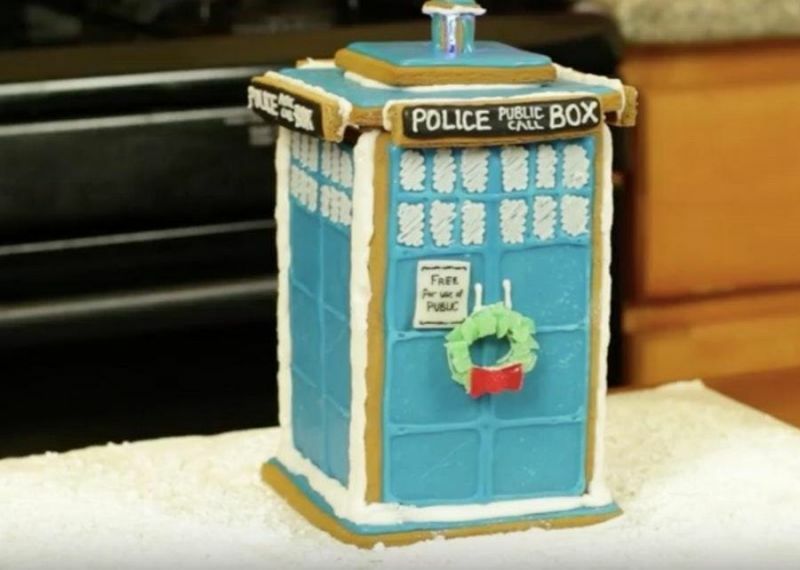 “Star Wars, Doctor Who and Star Trek gingerbread to geek up your holidays” from CNET. One of my favorite geeky gingerbread creations has to be the Millennium Falcon from Star Wars. It’s considered the fastest hunk of junk in the galaxy, but when you re-create it with gingerbread it quickly becomes the tastiest ship that can make the Kessel Run to my stomach in less than 12 parsecs. (7) TEA WRECKS. Ann Leckie is trying out Yak Butter Tea. But. When I discovered that I could buy actual Instant Yak Butter Tea, I knew I’d have to get some and try it. I mean, I don’t have the same tea-research needs that I used to, before I finished the Ancillary Trilogy, but I’m generally attracted to foods and drinks I’ve never tried before. (9) THE COUNTESS. Stephen Wolfram tries “Untangling the Tale of Ada Lovelace” at Backchannel. But after quite a bit of research?—?including going to see many original documents?—?I feel like I’ve finally gotten to know Ada Lovelace, and gotten a grasp on her story. In some ways it’s an ennobling and inspiring story; in some ways it’s frustrating and tragic. (10) LIST OF BEST COULD BE BETTER. The Guardian has published “Best books of 2015 – part one”. Not very much sf&f in the opening stanza. Two notable mentions — Patrick Ness plugs The First Fifteen Lives of Harry August by Claire North, and Sara Taylor lists The Bone Clocks by David Mitchell. (11) NORTH SMUGGLES. Meanwhile, at The Book Smugglers, Claire North contributes “A Comic-Store Romance”. You all know the place. The walls are lined with posters. Originals from 1980s B-movies, tentacled monsters from the deep. Signed pictures of space-wandering heroines and time-travelling adventurers. Shelves of action figures, some DVDs – the odd blockbuster, but more manga, obscure tales of zombie spacemen and daft vampire romps. Then there’s the books, classic, revered titles, then the comics. And then, there’s the people…. A man, black leather jacket, crucifix, star of David and Wiccan pentagram slung round his neck; owns all the works of Alan Moore, including unwrapped editions kept sacred, and the more crinkled editions which as a child he read, naughty, under the blankets of the bed, eyes wide and mind reeling as the world was changed forever…. (12) ON THE BALL. “Relive all the costumed shenanigans of 2015 with the 8 best mascot moments of the year” at Major League Basball’s Cut 4. Martin Morse Wooster says, “I sent you the post from Major League Baseball because of the Phillie Phanatic dancing with the Star Wars cast.” The other sf/f selections involve a dancing dino, and astronauts slipping on a banana peel. (13) SET YOUR DVR. The Defiant Ones (1958) will air on Turner Classic Movies this Tuesday the 29th at 12:00 midnight Eastern, Lon Chaney as Big Sam, starring with Tony Curtis and Sidney Poitier, his last role for director Stanley Kramer. (14) MILD SPOILER ALERT. “Neil DeGrasse Tyson Fact-Checked The New ‘Star Wars’ Movie – And fans were quick to accuse him of ruining the fun” reports Huffington Post. My promised observations of @StarWars Episode VII #TheForceAwakens follows (with only mild spoiler alerts). (15) NO IDEA IF IT NEEDS A SPOILER ALERT. I’m not reading reviews yet because I still haven’t seen the movie, so I can’t tell you whether Abigail Nussbaum’s “Star Wars: The Force Awakens” needs a warning label. (16) HELP IS ON THE WAY. Tasmin Silver asks “What Is Your Quick Sand and How Do You Get Out?” at Magical Words. WE ALL GET STUCK…even the authors you look up to. So don’t ever think less of yourself for hitting the ball into the sand trap. You’ll find your way out and the next story you do, you’ll be a better writer because of it. Whatever you do, don’t quit. Sure, you might have to put it aside for awhile to clear your head…but do go back, trust me, it makes a big difference in your confidence as a writer to go back. (17) FORTY-NINER. The 49th California International Antiquarian Book Fair takes place February 12-14, 2016 in Pasadena, CA. (18) GEEKY TRUTHS. Eric Christensen reviews Luke Skywalker Can’t Read and Other Geeky Truths by Ryan Britt at Fantasy Faction. I know that if I say Luke Skywalker Can’t Read has something for every species of sci-fi and fantasy nerd, that this implies a sort of lowest-common-denominator writing. But that is not the case here. I mean that he covers so many topics that a glance at the table of contents is enough to hook just about any reader. For example, Britt writes about why we shouldn’t get upset about rapid-fire reboots of superheroes, why Tolkien was just as big a revisionist as George Lucas (although maybe better at it), why the Back to the Future movies are built on fake nostalgia and paradoxes (why is Biff Tannen’s family tree missing every other generation? ), or why Sherlock Holmes lives at the heart of pop culture. And of course there is the eponymous essay that argues that everyone in the Star Wars world is functionally illiterate (which does put lines about “hokey religions and ancient weapons” in a very new light). (19) MATHEMATICAL PROOF. 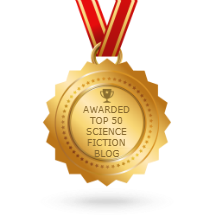 These are all YA but not all sf/f – “Top Ten of 2015: Book Boyfriends” at Dark Faerie Tales. Anyway, a Top 10 has two fifths, so it must belong in the Scroll. I was instantly drawn to John’s goodness and kind heart. He is an amazing healer but he is totally humble about it. Then to top it, he is tall, dark, and handsome! What’s not to love??? (20) DOUBLE DOWN ON FIVE. Pornokitsch has its own way of scoring two fifths — “Five for 2015: 5 Great Games of the Year”. This odd hybrid of first-person sci-fi shooter and ‘massively multiplayer online’ game had a bumpy first year. People expected greatness from developer Bungie – the people behind the beloved Halo series of games – but Destiny’s initial release was met with a chorus of ‘meh’. It wasn’t a bad game, but it was hampered by a damp squib of a main storyline and a shallowness of content. The latter was an especially big problem: Destiny was designed as a game to be lived in, a game to return to time and time again. If there wasn’t enough to do, enough material to keep people occupied, then it could hardly be considered a success on its own terms. Two small expansions helped patch things up, but it wasn’t until this year’s grand new phase of content, released effectively as its own game, that Destiny finally hit its stride. (21) WIKI WAG. Mark Lawrence asks “Is Grimdark a thing?” but how can he say no when he is one of its leading exponents? I was impressed to discover that there’s a definition (of sorts) of Grimdark on Wikipedia … and I’m on it! Cited on the page with me as examples (presumably prime) of Grimdark authors are Joe Abercrombie and Richard K Morgan, neither of whom I’ve read, and George RR Martin, who I have read. Now, I can’t claim an overview – I haven’t even read two thirds of my fellow examples! But if I constitute one of the four pillars of the alleged sub-genre (even as the least and last) then it might be instructive to see how these key ingredients apply to my work…. 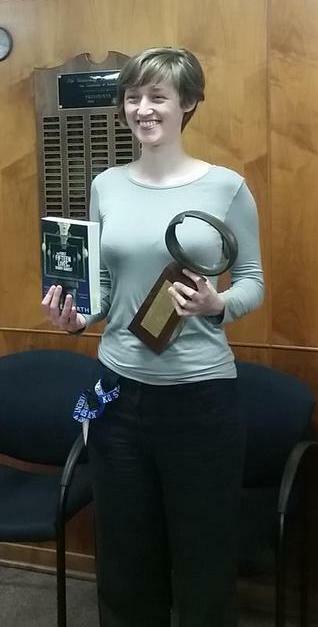 Claire North’s The First Fifteen Lives of Harry August is the winner of the John W. Campbell Memorial Award for the best science fiction novel of 2014. Hugely happy and excited to receive the Campbell Award! Wish that I had more literary words than wheeeeeee to express my gratitude and joy! The award was presented at the Campbell Conference in Lawrence, KS on June 12.